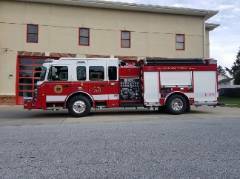 2017 Smeal Sirius II ELFD 6 person cab. Waterous 1250 gpm, 1000 gallons of water, 30 gallons of foam. 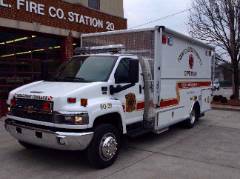 Sold By RedStorm Fire and Rescue Apparatus Inc.
Graphics by Fitch Graphics and Design. 20 Marine 2 is a 1973 16' Jon Boat and has a flat bottom hull. This boat is set up for all in-land water rescues, especially in shallow water and powered by a 35HP Evinrude outboard motor. 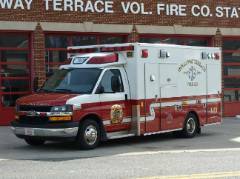 Special Operations 20 is a 2007 Chevy 5500 with a custom body built by EVI. This unit will be used to support the Dive Team and to haul the teams equipment trailer.